For a limited time, Mr. Ticket, with the experience of ten years and ten thousand cases, is offering complimentary consultations to individuals facing charges of any sort, big or small. Drivers who are facing traffic-related charges can choose to either pay the penalties or get a reliable defense. However, obtaining a reliable defense attorney may result in considerable cost during consultations to select the right lawyer for the job. To help to alleviate the cost associated with choosing a great attorney, drivers can for a limited time receive a complimentary consultation from renowned Los Angeles traffic attorney, Mr. Ticket, for any traffic-related charges they may be facing. When drivers who are accused of traffic crimes are looking for a good defense attorney, they may be hindered when having to pay consultation fees. This can add up and must be paid even if the driver decides to hire a different attorney. Those who are looking for a red light tickets lawyer could be tempted to ignore the citation rather than go through the trouble and expense. However, those who are facing more serious offenses, such as those who are in need of a Los Angeles drunk driving lawyer, may be stuck with the cost of interviewing several attorneys before making a selection. That's where Mr. Ticket is making a difference. This experienced attorney offers a complimentary initial consultation so that drivers who are facing charges may make an informed decision on choosing the right lawyer without worrying about additional expense. Those who are seeking a qualified reckless driving lawyer do not have to worry that a complimentary consultation would mean a lesser defense. According to the website, "Amir Soleimanian 'Mr. Ticket' has worked on 10 thousand cases." This shows the extent of experience that a driver can count on for an appropriate defense, even if searching for a knowledgeable hit and run lawyer. Mr. 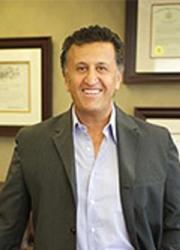 Ticket, headed by Mr. Soleimanian, has been providing legal defense for traffic-related matters for more than ten years. With a 93 percent success rate, Mr. Ticket has a proven track record in helping drivers to reduce the burden of extensive and harsh penalties that are commonly associated with traffic crimes. Those needing a suspended drivers license lawyer are encouraged to call as well.